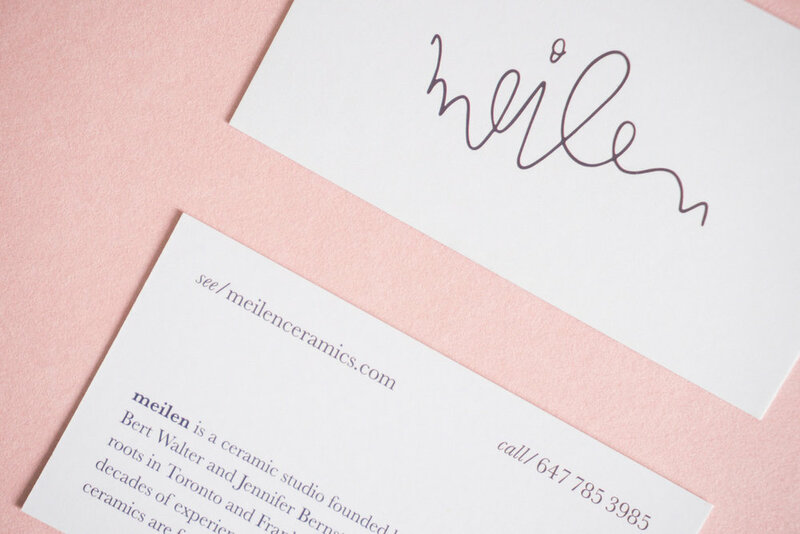 I branded melien, a ceramics studio founded by wife and husband duo, Jennifer Bernstein and Bert Walter. Meilen ceramics are heirloom quality with a modern sensibility. The identity uses the one of a kind handwriting that Jennifer would sign at the bottom of each ceramic piece. The tone of the identity is continued through out the brand with the playful lines in the product illustrations. The brand palette and tone uses the earthy and vibrant colours that are present in their collections. 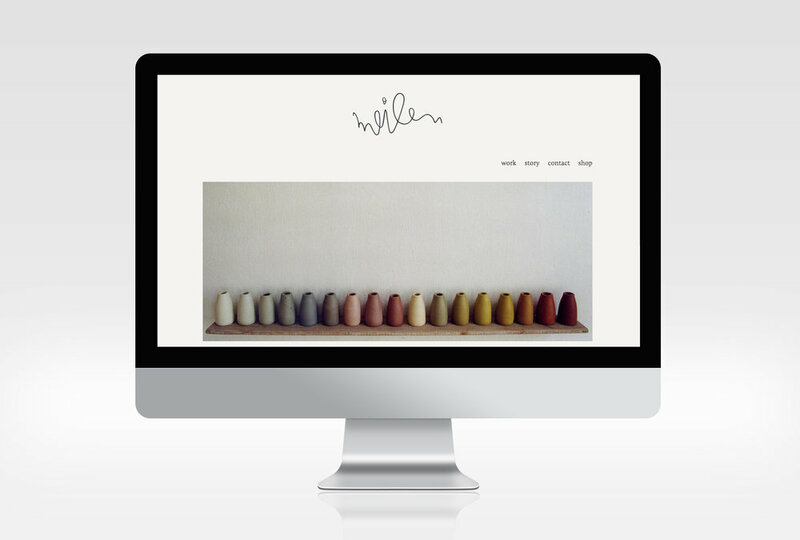 Through typography, illustration and colours the mood of meilen feels homey yet sophisticated.